The Cotton Candy Dream Dress is a fun and whimsical design. It features two amazing options: an everyday play dress and a special occasion dress. The every day dress is designed to use your favorite cotton/woven prints. Use fun trims or embellishing techniques to add a signature creative touch to the everyday version. With the every day dress, your sweetheart will be ready to conquer hearts all day long. 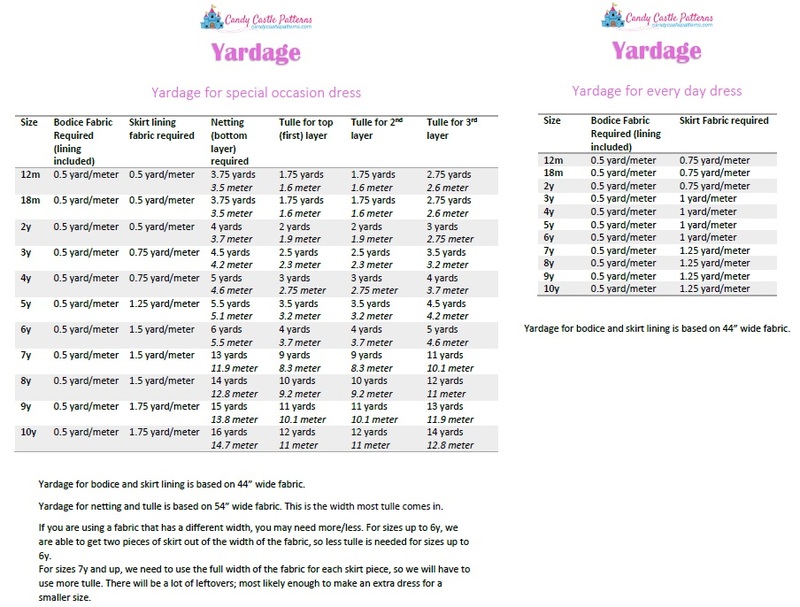 The special occasion dress is designed to give you an easy to follow tutorial that allows you to create a fantastic and beautiful tea length dress for those really special moments. With layer upon layer of fluffy tulle, your sweetheart will be a show-stopper at any special occasion, from the daddy-daughter-dance, first communion, pageants, birthday parties, dress-ups, formal dances, or as the most precious flower girl ever. Get your creativity flowing by embellishing the bodice with bias tape, trims or a lace overlay. The sweetheart neckline and delicate criss-cross straps create an enchanted feel. Follow the easy instructions for working with tulle and you will find yourself beaming with pride that you actually made such a gorgeous garment. Both dresses feature double strap ties that cross in the back and tie into pretty bows, a sweetheart neckline, and a comfortable elastic back. Whether you choose the special occasion version or the everyday dress, you will love all the pretty feminine details in this pattern. All sizes from 12m through 10y are included, as well as thorough sizing charts and sizing information. Thorough instructions on how to cut tulle and an in-depth explanation of various gathering methods will ensure that every seamstress can make a dress as elaborate as this one. Basic sewing skills are all you need to create a professional-looking dress. Although the design appears to be intricate and complex, do not let this fool you: the step-by-step instructions and spot-on pictures will help even a beginner create this beauty of a dress. Amelia: "The pattern was excellent. Like having a friend there guiding you. I love your style of instruction!" Amber: "This is an amazingly veritable pattern. You can do a simple everyday dress in under an hour or an exquisite formal dress for for any black tie event. And the instructions make it so simple to follow even for beginners!" Randi: "A SUPER quick sew! Even if you're not as accomplished seamstress, the instructions and accompanying pictures are so well done you will breeze through! The end result is a beautiful dress your child will LOVE to wear!"